Betty White's Secret To Living Healthily And Happily Will Make You Say, "Damn, She's An Icon"
Guess what I'm having for dinner. And if you, like myself, are wondering how to keep it fresh and poppin' like the sunbeam herself, you're in luck. Betty sat down with Parade to talk about her secrets, her successes, and her love of animals. And Betty's fountain of youth isn't mystical at all. TBH, the ingredients are probably in your fridge right now: vodka and hot dogs. That's right, kids. To stay happy and fulfilled like the former Golden Girl, grab your bottle of Grey Goose and pound down those Nathan's. This is finally a celebrity diet I can get behind. 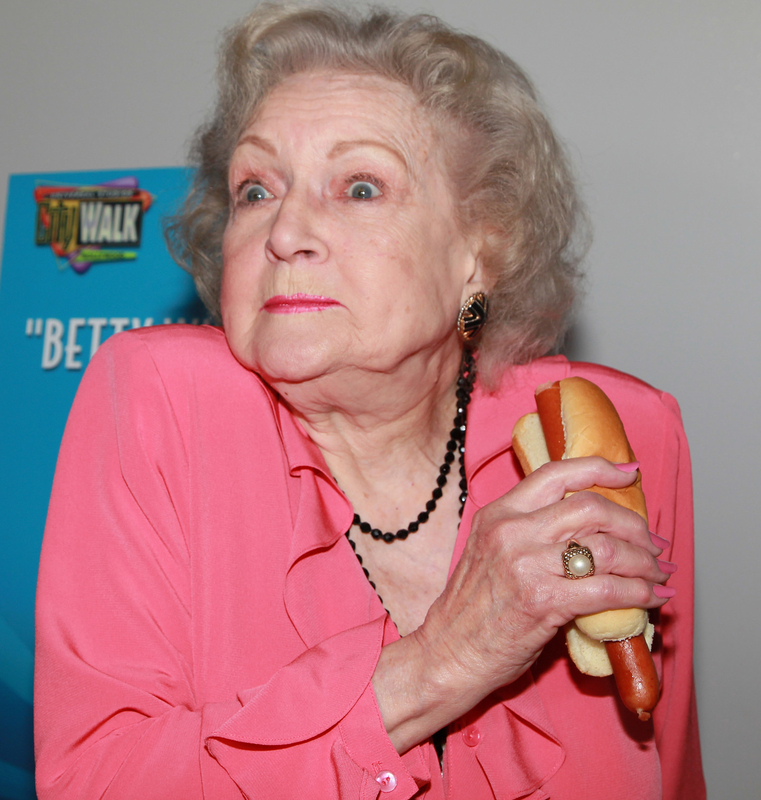 OK, well, actually, hot dogs and vodka aren't the only things Betty credits. In true Betty White fashion, she says she just tries to always be positive, like an actual human sunbeam. Accentuate the positive, not the negative. It sounds so trite, but a lot of people will pick out something to complain about, rather than say, “Hey, that was great!” It’s not hard to find great stuff if you look. We must protect her at all costs. There you go! The key to a long and happy life is a well-balanced diet and unbridled optimism. Let 2018 be the year we all strive to be more like Betty White.